Two new reports released this week by watchdog groups in Oregon show mixed results for accountability of the state’s economic development subsidies. OSPIRG released Revealing Tax Subsidies 2014, an update to its previous evaluation of how well the state is complying with its three year old transparency law. While the state has improved its disclosure since OSPIRG’s last assessment, especially for large controversial programs, the group found that the state is still failing to report key information for 14 of the 19 subsidies covered by the law. In particular, many of these under-disclosed programs are missing information about the economic outcomes (e.g. jobs, wages, or investment) ostensibly generated by these subsidies. Lacking such information, it is impossible to know whether the colossal corporate tax subsidies documented this week by the Institute on Taxation and Economic Policy and Citizens for Tax Justice are actually doing the state any good. The Oregon Center for Public Policy announced yesterday that at least 24 (and probably many more) of the state’s most profitable corporations included in that report have paid no state income tax in recent years. Oregon has a minimum corporate tax, but companies are able to dodge their tax responsibility with economic development subsidy tax credits. Read the full OSPIRG report here and see OCPP’s reporting on corporate tax dodging here. The ITEP/CTJ national study is available here. As the Christie Administration faces intensifying scrutiny over the Governor’s relationships with his political appointees, the state’s economic development incentive awards have also come into question. This week The New York Times revealed that David Samson, Chairman of the Port Authority and the central figure of “Bridge-gate,” also played a critical role in expanding the scope of New Jersey’s subsidies through his law firm Wolff & Samson. In addition to lobbying for tax breaks for Honeywell, the firm also served as counsel for the state’s bond deal on the controversial Panasonic relocation, and represented the infamous Xanadu (now American Dream) project when it sought a new set of subsidies from the state. New Jersey Policy Perspective revealed a year ago that the volume and value of special tax breaks given to companies mushroomed under Gov. 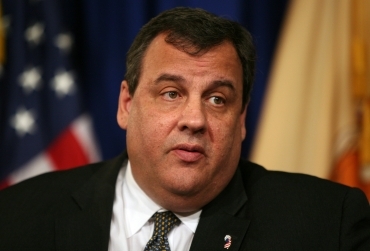 Christie’s leadership, rising to a record $2.1 billion in the first three years of his term. But the subsidy blowout hasn’t demonstrated a positive effect on New Jersey’s employment rate, according to Jon Whiten at NJPP. Compared to the national average, the state has recovered half as many jobs following the recession. We may now be getting a better understanding of how these subsidies were used, if not for job creation. Read the full article “In Job, Appointee Profits and Christie Gains Power” at The New York Times website.